Melbourne Ballet Company’s new triple bill Being & Time has lofty aspirations. It takes its title from Martin Heidegger and its themes from existentialism, or at least that is what one gathers from the program notes, which baffle more than they enlighten. In the case of MBC resident director Simon Hoy’s Dasein there is talk of “authentic being” explored though the analysis of random movement and gesture; Lucas Jervies wants his Four Ballet to show conflicting relationships “between the body and/or inanimate objects”. In the event, Dasein is a gaudy, relentlessly on-the-beat dance that revealed nothing about its performers, who were in any case locked in mortal combat for attention with the dominating projections behind them. Four Ballet is sleek in a twisty, juddery style incorporating classical shapes and gives little away. Its quartet of dancers looked cool and composed, with Kristy Lee Denovan standing out. Jervies is a very experienced hand who knows how to keep interest going by alternating solo spots with duos or groups but I was rather dismayed to see the one male (Alexander Baden Bryce) in the quartet asked to fling the women from him and, at one point, place his foot on a woman’s back. What this was meant to reveal remained hidden. Both pieces were performed to electronic music (respectively Ben Prunty and Ólafur Arnalds; Adam Ster) that increased a sense of emotional distance. Both were danced in soft shoes, as was Tim Podesta’s Architecture of Loss, by far the pick of this short program, which runs to less than an hour of dance in total. Architecture of Loss, for five dancers, was billed as a world premiere. It seems to have had its genesis last year as a solo for Mara Galeazzi, the former Royal Ballet principal artist who, despite being based in Oman with her family, collaborates closely with Podesta, who is based in Wodonga, on the Victorian-NSW border. They work around the world on dance projects as M&T In Motion and Galeazzi came to Sydney to appear in Architecture of Loss. She will also dance at the next port of call, Wodonga, and give master classes there at Podesta’s Regional Academy of Performing Arts. Galeazzi still appears a guest artist with the Royal from time to time and will dance in Woolf Works when the RB visits Brisbane in June and July. Architecture of Loss, performed to music by Valgeir Sigurdsson, is an affecting piece in which individuals seek connection and solace while couples love and battle and is built around Galeazzi’s dramatic gifts. Her opening solo fully and forcefully embodied the idea of painful isolation and longing. Denovan, a former member of The Australian Ballet (she was then Kristy Corea) was deeply evocative in her introspective duo with Robbie Moorcroft and Chloe Henderson added a touch of fire in a combative interaction with Luke Mangraviti. As seen in Sydney, Architecture of Loss sagged structurally, undoubtedly as a result of last-minute adjustments having to be made when American guest artist Joseph Phillips became injured late last week. Mangriviti was hastily brought in and made a strong impression in what was clearly a truncated part. Phillips has had an interesting career, dancing with a clutch of important US companies including American Ballet Theatre before joining the State Primorsky Theatre of Opera and Ballet (as it was then known) in Vladivostok, Russia, where he is a principal artist. 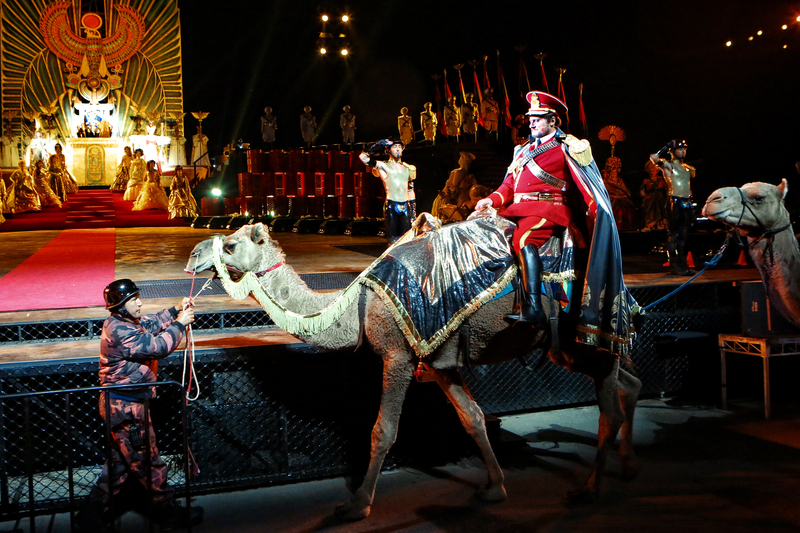 That company is now connected with St Petersburg’s Mariinsky and was last year renamed the Primorsky Stage of the Mariinsky Theatre. I am told Phillips, a former colleague of Hoy’s from many years back, will be able to appear when Architecture of Loss is presented at Hawthorn Art Centre at the end of the month, although Galeazzi will not perform there. Her role at the three performances will be taken by MBC dancers. Footnote: Queensland Ballet this week announced that principal artist Clare Morehen will leave the company after its upcoming contemporary bill, Raw, which opens on March 17 with works by Christopher Bruce, Greg Horsman and QB’s new artistic associate, Liam Scarlett. She has been with QB for 13 years. Morehen, who trained at the Victorian College of the Arts and the Royal Ballet School, will now concentrate on contemporary ballet and contemporary dance. Her first post-QB assignment is with Podesta and Galeazzi’s M&T In Motion and The Covent Garden Dance Company on a work to premiere in London mid-year. Small world, ballet. There are further performances of Being & Time in Wodonga (March 17 and 18) and Hawthorn (March 29-31). Robert Curran was a long-serving principal artist with The Australian Ballet, from which he retired in 2011. 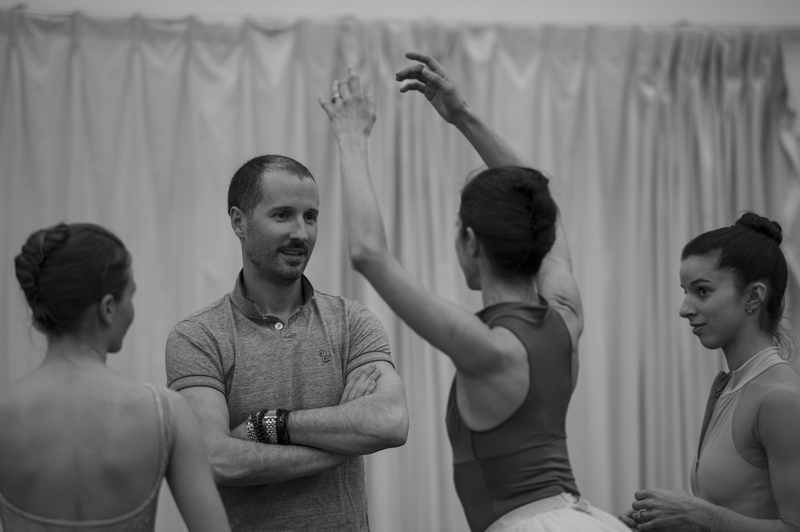 He’s now leading a small company in the United States and relishing a role that is both very similar – ballet is ballet, the studio is the studio – and yet very different from his former life. LOUISVILLE is a city of about 750,000 people lying west of the Appalachian Mountains on the Ohio River in Kentucky. It was founded in 1778 during the American Revolution, named after Louis XVI (the French were allies against the British), and is situated in the South, although very much in the north of the South – it takes little more than two hours in a not very large aircraft to fly there from New York. But a Southern city it is, proud of its hospitality and its role as a leading bourbon producer. So – horses, booze and fast food are important in Louisville. And bluegrass music. But they are not what I went for in mid-April. In August last year Louisville Ballet named Robert Curran, former principal artist with The Australian Ballet, as its new artistic director. As I have always been keen to see one of the smaller-scale American companies in action, his appointment offered the perfect excuse to make it happen. First, a bit of background. San Francisco Ballet is regarded as the oldest professional company in the US, founded in 1933 as San Francisco Opera Ballet and becoming a separate body in 1942. Just to muddy the waters a little, Atlanta Ballet was founded in 1929 and describes itself as “the longest continuously performing ballet company in the United States”. Presumably it started as an amateur outfit. Whatever the story, ballet started to take root in the US about 85 years ago. 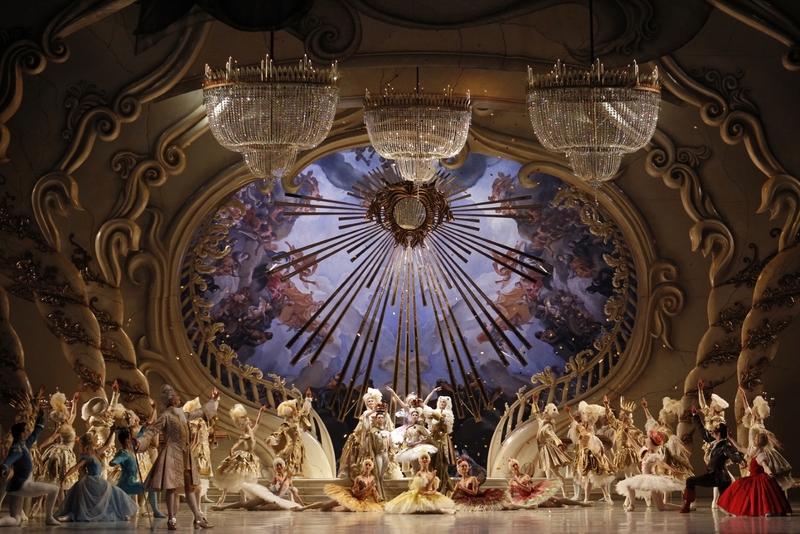 Interest had been stirred by touring European troupes in the 19th century and was cemented by Ballets Russes spin-off companies in the mid 20th century. George Balanchine came to the US in late 1933 and his School of American Ballet opened at the beginning of 1934. By the beginning of the 21st century there would be 100 or more ballet companies in the US. They include a handful of world-renowned organisations – American Ballet Theatre, New York City Ballet, San Francisco Ballet – and other major-city outfits such as Houston Ballet, Boston Ballet, Chicago’s Joffrey Ballet and Seattle’s Pacific Northwest Ballet that can support 40 or more dancers. Louisville Ballet belongs to a third category: smaller troupes established in sizeable cities with a lively arts scene. After his appointment was announced Curran made a quick trip back home to sort out his visa and then returned to Louisville to dive in. He didn’t have long to become acquainted with his dancers before getting Giselle onstage by mid-September, and also wanted to immerse himself in Louisville cultural life as soon as possible. Eight months later, Curran couldn’t look happier. Retiring director Bruce Simpson had programmed the first part of the 2014-2015 season so it wasn’t until April 10 that Curran unveiled his first program for Louisville Ballet: a triple bill of Serge Lifar’s Suite en blanc, George Balanchine’s Square Dance and a new piece by Australian choreographer Lucas Jervies, What Light Is to Our Eyes. It was extremely well received by public and critics, but perhaps more impressive was the demonstration of just how quickly Curran had moved on one of his most passionately desired goals. He wants Louisville Ballet to interact meaningfully and visibly with the local cultural scene and Director’s Choice: A New World was a strong beginning. Jervies created What Light Is to Our Eyes to young American composer Sebastian Chang’s first symphony, which was commissioned by and given its world premiere performance in late January by Louisville Orchestra. It was conducted by the orchestra’s new music director Teddy Abrams, a 27-year-old who is creating quite a stir in the city. As an interviewer for Louisville Insider put it to Curran recently just before Director’s Choice opened, “You can’t cross the street without running into Teddy – he’s everywhere.” Curran doesn’t want to make himself quite as visible as Abrams, preferring to put the spotlight on his dancers, but they seem to be on the same wavelength. Drawing on the wider world of ballet connections, Curran was given permission to stage Suite en blanc himself after Claude Bessy, a former director of the Paris Opera Ballet School who is associated with the Serge Lifar Foundation, was unable to come to the US as planned. Curran got Bessy’s blessing after being introduced long-distance by ballet legend Violette Verdy, whom Curran knows from his AB days. Verdy is now a professor at Indiana University. It’s a small world. In terms of repertoire Director’s Choice was very familiar territory for Curran. He has been acquainted with the Lifar ballet since his student days with the Australian Ballet School, danced Balanchine with the AB and with Jervies founded a small Melbourne-based contemporary ballet company, JACK. Far less familiar was his new company’s structure. Louisville Ballet has 24 dancers and 15 apprentices, the latter at the stage of finishing vocational training and preparing to start professional careers. Dancers are contracted for 30 weeks of the year, a number Curran would like to see increase to 40 or 42. Houston Ballet, led by Australian choreographer Stanton Welch, has 44-week contracts but that is uncommon. Even the mighty American Ballet Theatre contracts its dancers for only 36 weeks of the year. For the rest of the year they fend for themselves or go on unemployment benefits. Perhaps even more surprising to an outsider is the small number of performances in each season given by Louisville Ballet and other companies of its size. Director’s Choice was seen only three times in the space of 28 hours – Friday night, Saturday matinee, Saturday night and it was done. The exception of course is Nutcracker, which is both sacred community tradition and indispensible money-spinner for virtually every American ballet company. That has a much longer run. One area set to expand is the number of trainees. Curran says there will be a much bigger group next year than the current 15. “I had a phenomenal number of people applying.” As trainees are unpaid they don’t drain resources. There is a little government funding but Curran describes the company’s $3.5 million budget as primarily made up of “about one third box office, one third development [corporate sponsorship and private support] and one third school revenue”. The latter is something Curran, who is also artistic director of Louisville Ballet School, is looking at. If the school’s income is mainly siphoned off for the company it doesn’t get to invest in itself. There are 600 students, not all of whom want to take a vocational path, and Curran would like to see an organisation that better suits the needs of both recreational and vocational students. The vocational students are the obvious candidates for apprenticeships and, ultimately, a place in the company. And it’s something Curran has to pay close attention to. Louisville Ballet dancers have a higher average age than in most companies, Curran says, with many in their mid to late 30s. That brings maturity and intelligence to the stage, but the careers can’t last forever. Curran has no intention of letting people go – “I’ve become very fond of them” – but must keep an eye to the future. That means not only developing the next generation of dancers but also giving current company members challenging repertoire. Many dancers caught the eye, in particular Natalia Ashikhmina in the Cigarette variation and Erica De La O in the Flute variation in Suite; both leading pairs in Square Dance – Kateryna Sellers and Brandon Ragland, De La O with Kristopher Wojtera; and the full cast of What Light Is to our Eyes, which the dancers invested not only with strong contemporary ballet energy but with mature dramatic qualities. With the dancers going on leave for their long northern summer layoff, Curran and Louisville Ballet general manager Cara Hicks are turning their minds to a reorganisation of the company, which has a staff of about 15 apart from the dancers. Hicks is relatively new to her position (although not to the company), as previously Bruce Simpson combined the roles of artistic director and chief executive. Curran expresses nothing but great admiration and respect for Simpson, who some years ago guided the company out of extreme financial difficulties, but with both Curran and Hicks under 40 different emphases are inevitable. 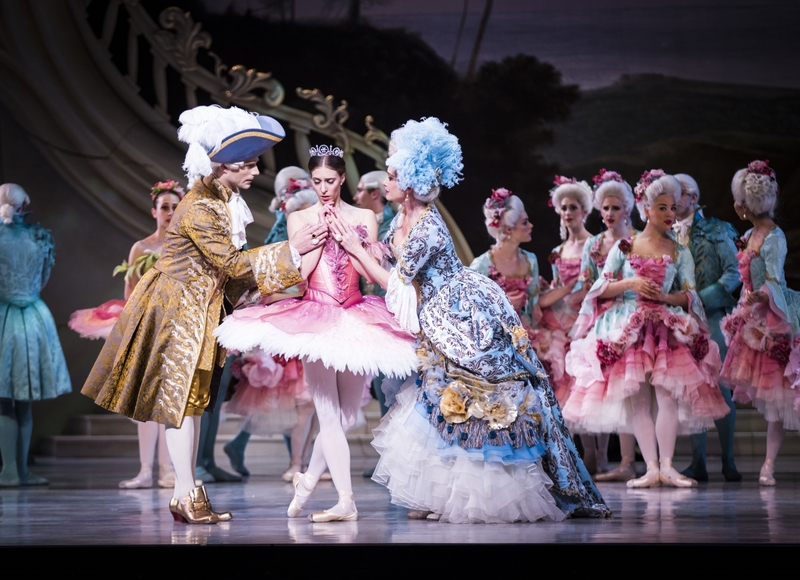 Along with the major undertaking that is the company restructure, Curran has a new production to prepare, a version of Coppélia that will open Louisville Ballet’s 2015-2016 season in October. He plans to set it in Louisville’s Germantown area in 1917 as the US enters World War I. He also has “perhaps a foolishly ambitious plan” for the company’s 65th anniversary in 2017 about which he will say nothing at present. He will say, however, how thrilled he is to be in Louisville. “I enjoy the people. They’re so welcoming. The city is fun; it’s really easy, although the food is a little bit too good. This community, they are brave, willing to look at things in a new light. Seeing that standing ovation after Lucas’s work – they were so willing to embrace it. A COUPLE of years ago I interviewed Stephen Sondheim ahead of the Melbourne season of A Funny Thing Happened on the Way to the Forum, and I’m afraid I really didn’t get anything out of him that he hadn’t said many, many times before. This included his definition of the difference between opera and musical theatre. When, for instance, Sweeney Todd was presented on Broadway, it was a musical, he said. When Sweeney Todd was staged by an opera company, it was an opera. Just to muddy the issue, the work of a contemporary company such as Sydney Chamber Opera is staged at Carriageworks, a multi-arts venue that concentrates on new work. I doubt that Kate Miller-Heidke and Lally Katz’s hour-long work The Rabbits, of which Opera Australia was a co-producer, will be seen in a traditional opera space, not to mention that the singers are amplified, which for many people would bar it from being called an opera. Perth International Arts Festival, a co-commissioner with the Melbourne Festival, cannily called The Rabbits “a new work of operatic theatre”. PIAF was right to make that distinction, and I don’t think in this case it is arbitrary. The Rabbits’ music, while it had some qualities one might consider operatic (overlapping vocal lines, for instance), was not of the complexity one associates with opera – not quite “traditional enough in form and technique”. But to get back to my point about Sweeney Todd, who cares what box you put it in, as long as it’s good? The openings in Sydney of Les Misérables and Aida on consecutive nights brought to the fore these distinctions and evaluations. 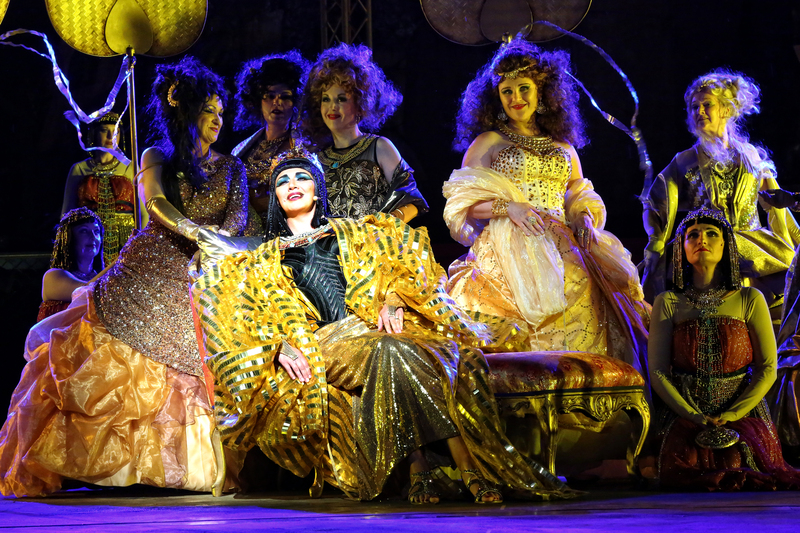 It goes without saying that musically speaking, Aida, this year’s Handa Opera on Sydney Harbour, starts any face-off with the unbridgeable advantage of having been written by Verdi. The composer of Les Mis, Claude-Michel Schönberg, is no Verdi, although the same can be said of many – most? – composers of opera, let alone those firmly assigned to the musical theatre realm. Schönberg nevertheless writes memorable, effective melodies that vividly colour and support the stage action. Schönberg also allows himself a few “serious” references as most Le Mis aficionados know, and they fit seamlessly into his score, which is interesting. Jean Valjean’s Bring Him Home may well remind lovers of Madama Butterfly of the Humming Chorus, and I am grateful to Robert J. Elisberg’s blog for alerting me to the ways in which Little Cosette’s Castle on a Cloud has resonances of Rameau. One reason, though, why Schönberg and his music theatre confrères will never sound like operatic composers is the non-negotiable requirement that music-theatre lyrics be clearly understood at every moment. In his fine New Yorker obituary for Andrew Porter, the greatly esteemed music critic who died a few days ago, Alex Ross wrote: “Like Wagner, he believed that operas should generally be performed in the native language of the audience—a conviction that marked him as something other than a purist.” Like opera used to be, musical theatre is the theatre of the people and therefore presented in the language of its audience – although when opera is sung in English one sometimes still needs recourse to the surtitles, partly because there may be multiple vocal lines and partly because sometimes diction isn’t what it could be or the conductor isn’t being helpful with the orchestral balance. Another difference is that music-theatre lyrics pretty much say what they mean and mean what they say. There are few music-theatre lyricists as sophisticated and multi-layered as Sondheim. One may enter a production of a successful musical with no knowledge and leave with full, uncomplicated apprehension of every turn of plot and emotion. You can call it unsubtle if you will, but it’s powerful magic and it’s why Andrew Lloyd Webber is a very rich man. (He likes his Puccini too – Music of the Night from The Phantom of the Opera employs a phrase very like one in Quello che tacete in La fanciulla del West. Let’s put it this way: royalties were paid to Puccini heirs. So far Aida is out in front by quite a margin, although it’s fun to think that perhaps Les Mis could be considered the more serious drama, in that its love triangle (Eponine-Marius-Cosette) is subordinate to the theme of oppression and revolution. In Aida the love triangle (Amneris-Radamès-Aida) is to the fore with political upheaval secondary. Musically, though, Aida is the goods. Late-stage Verdi in his pomp. But we’re not just listening. Sung drama is a combination of score, libretto, vocal quality, acting and staging. In its current production Aida’s musical splendours are forced into the service of an astonishingly vulgar presentation. What was director Gale Edwards thinking? The dominating scenic element in Mark Thompson’s design, a giant head of Nefertiti, is inspired but presides over a sad mish-mash of images and ideas. It is one of those concepts that throws in costuming from across the ages to indicate that the themes are timeless. So there are modern business-suited guards, Fascist soldiers, priests of Ancient Egypt, women overpowered by gargantuan gowns, female dancers in a kick-line (don’t ask) wearing abbreviated versions of traditional African attire and male dancers got up as jackals with a 1970s rock-star vibe by way of a D-grade sci-fi film. Well, it’s work for the dancers, although not choreographer Lucas Jervies’s finest hour. The mute reference to current Middle East oil politics is very odd. Why all those barrels stacked up the back? It’s not as if Egypt is one of the great oil-producing countries and at war with Ethiopia over the resource. Obviously we were meant to think about current geo-politics but the idea looked and felt tacked on. There seem to be more directors than you can poke a stick at for Les Mis but despite the crowd (two directors, two in charge of musical staging) the production is exceptionally coherent. 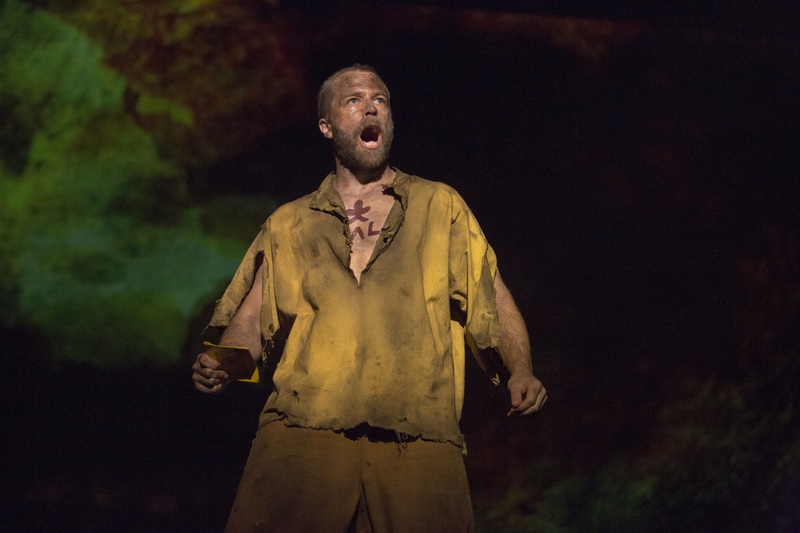 From a staging perspective, Les Mis is the goods. Producer Cameron Mackintosh has done it again, and this summation indicates the most fundamental difference between opera and musical theatre. The first is the art of the composer, the second the art of the producer. And yes, I know there are many who think producers aren’t artists, but then I think of Diaghilev and dismiss that argument. And yes, there are exceptions, such as Sondheim, who is always the exception. Fortunately for Aida, on opening night there were two stellar performances. Soprano Latonia Moore was a glorious Aida with dark power at the bottom of the range and warm glow at the top. She acted every moment with conviction and made Ritorna Vincitor and O Patria mia the shining dramatic highlights. As Amneris, mezzo Milijana Nikolic, tall and glamorous, deftly wrangled her series of eye-popping frocks – brava! – and persuasively made the transition from haughty, conniving princess to woman of feeling. Further down the cast list Aida was graced by the splendid Amonasro of Michael Honeyman and David Parkin’s Ramfis. In Les Mis, Kerrie Anne Greenland (Eponine), for whom this is her first professional engagement, was spectacularly good. In Melbourne I thought her voice wonderful but that she sang the notes all in the right places and rather too dutifully in her big song, On My Own. In Sydney she was able to move within the music to make it individual. She’s a tremendous talent. After what sounded a nervous start – there was a very pronounced beat in the voice – Patrice Tipoki sang feelingly and movingly as the unfortunate Fantine. Others in Les Mis fared less well. I thought the directors allowed Lara Mulcahy as Madame Thénardier to overdo the grotesque comic business (when you overshadow the Thénardier of Trevor Ashley it’s quite a feat), that Euan Doidge was a too small-voiced Marius, that Emily Langridge was a very unsettled-sounding Cosette and that Chris Durling lacked that last necessary drop of personal and vocal charisma as Enjolras, leader of the student revolutionaries. Wouldn’t you think those quite serious reservations would knock Les Mis out of the running for Best Sung Drama in the final week of March 2015? But no, they didn’t. Les Mis was, despite the glories of Latonia Moore and despite Verdi, the much more satisfying theatrical experience. 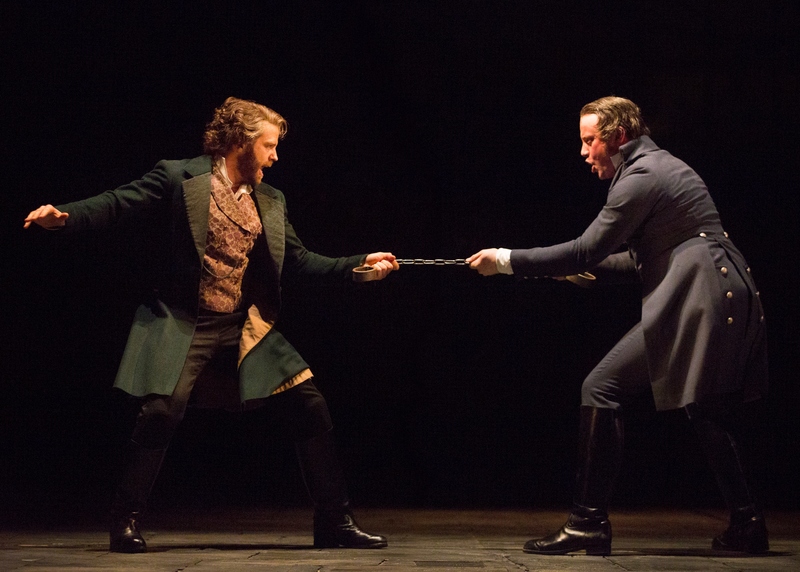 And don’t blame Opera on Sydney Harbour, an innovation I adore: Last year’s Best Sung Drama? That would be Madama Butterfly, on the harbour.